For a limited time only, we are offering the special Whiskey soda made with Maker’s Mark. 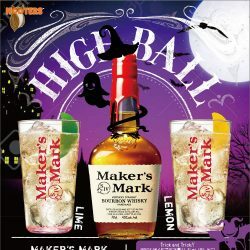 Enjoy the Halloween mood with this handmade Bourbon! 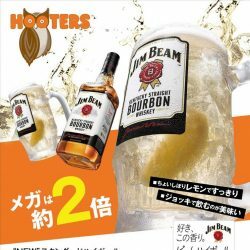 Enjoy the No.1 Bourbon at HOOTERS! Get 20% extra Chicken Wings for FREE! Celebrate the summer with Budweiser and Johnnie Walker! 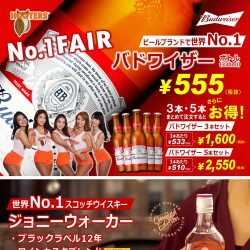 Asahi Super Dry Bottle on SALE!